Decided to buy a house? It’s an exciting time, but buying a house or flat can be a daunting prospect, especially if you are a first-time buyer. As with many things, preparation can make the process much smoother. The tips below will hopefully come in useful, whether buying a first home, a larger family property or down-sizing. · Make sure you can get a mortgage! It sounds obvious, but it is the first thing that you need to check. Many lenders these days have rigorous affordability checks, and you need to know for certain that you will qualify. This is even more relevant if you are getting financial assistance from a relative, as some lenders may have very specific requirements as to what they will (or won’t) accept. Get an idea of the legal costs at an early stage. Many estate agents now have packages that include “the legals”. Whilst these often offer a “no sale, no fee” arrangement, they are not necessarily the cheapest option once the whole process is factored in. It is always worth seeing if friends or relatives can recommend a firm that gave them a great service. The conveyancing process is a complex one, and you need to feel that you have faith in the people working for you. The most detailed that you can afford. Whilst a seller cannot lie about a property, they are under no obligation to disclose information regarding the state and condition of a property, unless you specifically ask them the question. Remember, your solicitor won’t be attending the property, so it is crucial that you go back after your offer is accepted, to check things like parking arrangements, extensions, and boundaries. Always flag up any concerns you may have to your solicitor. If you are having a mortgage, your lender will insist on a full set of searches. But even if you are buying for cash there may be relevant issues such as breaches of planning, environmental charges, flooding etc. that you would not find out without the relevant search. Better to spend an extra £100 or so at the outset, than to have a nasty shock after completion. Set realistic target dates, and always discuss your concerns with your legal advisers. Whilst buying can be stressful, it should also be an exciting and positive experience! Deborah Myerson specialises in residential conveyancing, for more information contact her at: deborah.myerson@raworths.co.uk. A Universal Fact - nothing ever remains the same! Just as we flew the nest and made our way in the world, our children have now arrived to complete the cycle. Peace of mind comes from knowing that we have done all that we can to safeguard and protect our families and ourselves. As our lives evolve we know that sometimes things go wrong, relationships come unstuck and the only certainty in life is death. Yet with some planning and preparation everyone can reduce their worry and risk. According to Relate 41% of marriages end in divorce, and many couples approach marriage with good jobs and substantial assets. Although this is not romantic, the obviously conclusion is that there is an inevitable risk of future disputes over money for a large number of couples. There is a way of reducing this risk for many – a pre-nup. We know that it is difficult to broach such a subject during the throws of romance, when the emotional head says “no”, but the more sensible head should say “yes” to a pre-nuptial agreement far more often. Making a will won’t kill you; but having one will make sure that what you and your family want happens in the most effective way. No-one should assume that this is so if you don’t have a will. 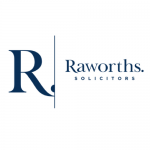 RAWORTHS FAMILY LAW is part of a full service Solicitors firm located next to Waitrose in central Harrogate. We are not only specialists in Family Law but have the added advantage of experts in other related fields who are used to working together, in an integrated way, to cover all the needs you may have. Particularly where assets are involved, our Family Law Unit has immediate access to our property, commercial, trust and other expertise when needed. All our family law team live in Harrogate and two of us still have small children at school/nursery. We know the issues you might be facing and we have an excellent reputation for straightforward, friendly but incisive advice. Our approach is to support you and stand your corner, while making sure that we keep conflict to an absolute minimum. We can offer the correct tailored solution for you, and have a dedicated mediation service and two of our solicitors are experienced Collaborative Lawyers. We offer a free, no obligation, half hour appointment with our family team to discuss family issues that might be affecting you. I am mum to two high school age girls. Originally from Durham, I have lived in Harrogate for almost 20 years and consider myself to possess essential “Yorkshire qualities”. I am a committed Collaborative lawyer, a member of the Collaborative Regional Committee and an Advanced member of the Law Society Family Law Panel. In my spare time there is nothing better than a day walking in the Yorkshire hills. I am Harrogate born and bred, having attended Harrogate Ladies College and Rossett High School. In my spare time I ride off-road motorbikes and regularly compete both in the UK and abroad. When not throwing myself around a muddy course I am also a keen baker, and I am steadily learning Spanish. My special area of interest is in connection with financial issues surrounding separation and divorce, in particular where there are farming issues. I am originally from Yorkshire having left to work in London for around ten years. I am now well and truly settled back into Yorkshire life. I am a member of Resolution and specialise in all aspects of Family Law. I have two young children aged 3 and 6 who keep me busy in my spare time. I also enjoy keeping fit, cooking and gardening. I have two daughters aged 6 and 10 who attend a local primary school and I am Harrogate through and through, having attended St Peter’s Primary School and Harrogate Grammar School. I am an Associate of CILEx and am currently partway through my studies to become a Chartered Legal Executive. I am a member of Resolution and assist in all aspects of Family Law. In my spare time, when not ferrying my children to various activities, I play clarinet in a local band and also enjoy reading, walking and spending time with friends and family.